Automakers getting clever about disguising development vehicles isn't anything new. Between mules wearing the sheetmetal of other cars and prototypes decked out in as much camouflage as is practical, automakers know how to make it very difficult for the general public to get an exact idea of what kind of vehicle is in development. Ford, though, is rapidly becoming the master. We knew that the Blue Oval originally tested the durability of the aluminum construction being used for the 2015 F-150 by building an all-aluminum 2014 truck and entering it in the Baja 1000 off-road race. That's no longer a secret. What we didn't know, though, is that the aluminum development dates back to before even that, and that some of the people in question had no idea what it was they were working with. Ford says this is the first time prototypes have ever been handed over to the public. See, way back in 2011, Ford built six examples of the then-current F-150 generation, using aluminum for the most-abused part of the truck, the cargo box. 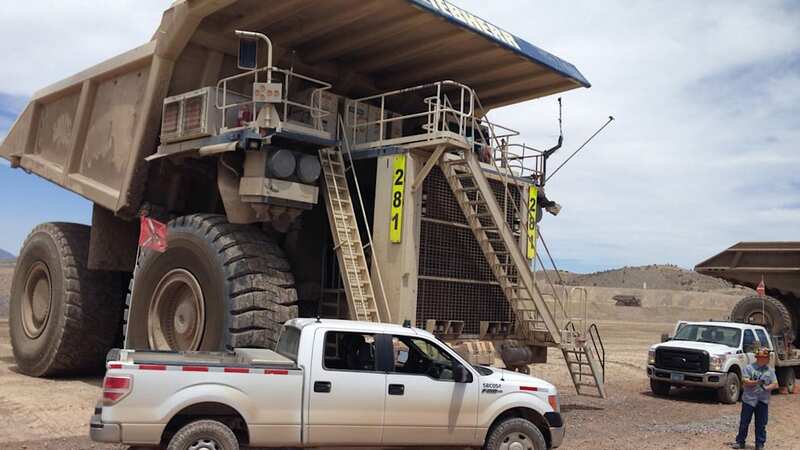 Those trucks were then delivered to three outfits across the country – Barrick Mining in Nevada, Walsh Construction in Pennsylvania and Alabama and a utility provider in North Carolina. The catch was, not a single group knew they were testing a vehicle with such intensive aluminum work. While this strikes us as a slightly risky move, it seems to have paid off for Ford. "This secret testing almost immediately yielded results and lessons we have rolled into the all-new F-150," said Denis Kansier, the F-150 prototype lead engineer. "For example, we made the cargo box floor thicker to improve strength, and we made modifications to the tailgate based on lessons we learned through customer usage." Meanwhile, the trucks that were loaned out are still in use. The Barrick trucks cover 100 to 300 miles per day and, between the two, have over 150,000 miles on the clock. The North Carolina trucks cover around 200 miles per day, while the Walsh trucks helped put together a hydroelectric dam and a highway interchange. According to Ford, this is the first time prototype vehicles have ever been handed over to the public. "Our customers demand the highest levels of toughness and productivity – so we wanted to test the truck outside, in the harshest conditions and in the hands of real customers – with no limits," said Larry Queener, the F-150's program manager. "But we did not want these customers to know what was different. So, when we gave them the prototype vehicles, we told them to use the trucks like their other hard-working Ford trucks, and we would be back to follow their progress." Take a look below for a video and press release on Ford's testing, and then hop up top for images of the clandestine aluminum-box trucks in action. Ford Motor Company went beyond its labs to test a key part of the all-new Ford F-150. The company embedded six prototype pickups – each with an experimental aluminum-alloy cargo box – at some of its fleet customer job sites then quietly went about evaluating the design and engineering of the next-generation pickup in the toughest conditions. 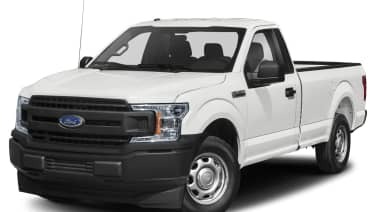 Three longstanding Ford fleet customers, unaware of Ford's experiment, took delivery of prototype F-150s with current steel bodies and all-new, high-strength, aluminum-alloy cargo boxes in 2011. Three years later, these fleet customers and the Ford team who built the prototype trucks are convinced the new 2015 Ford F-150 will be the toughest truck the company has ever made. 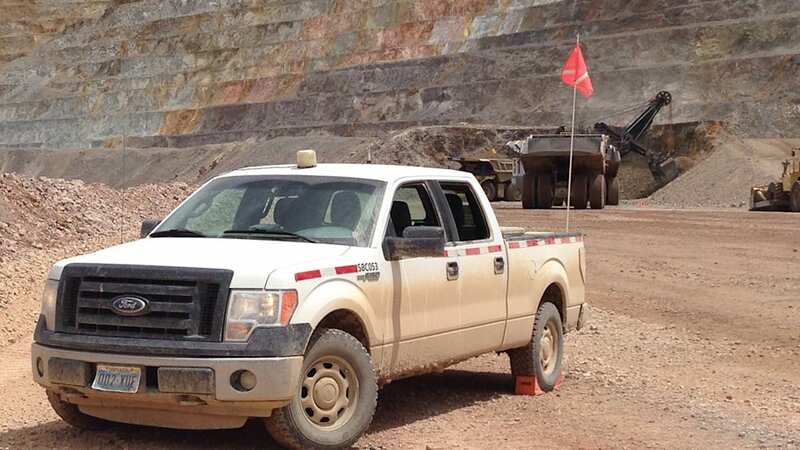 "Our customers demand the highest levels of toughness and productivity – so we wanted to test the truck outside, in the harshest conditions and in the hands of real customers – with no limits," said Larry Queener, program manager for the new F-150. "But we did not want these customers to know what was different. So, when we gave them the prototype vehicles, we told them to use the trucks like their other hard-working Ford trucks, and we would be back to follow their progress." "This secret testing almost immediately yielded results and lessons we have rolled into the all-new F-150," said Kansier. 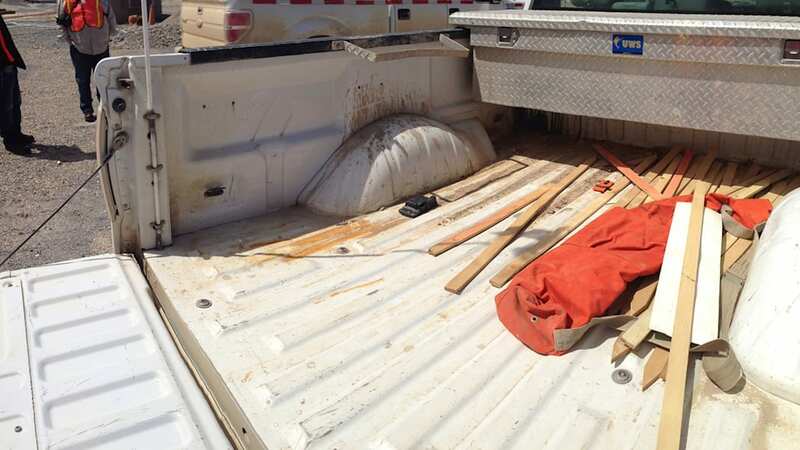 "For example, we made the cargo box floor thicker to improve strength, and we made modifications to the tailgate based on lessons we learned through customer usage." The six-vehicle fleet accumulated more than 350,000 miles in just more than two years. As the testing of these six F-150 prototypes ensued, drivers began to notice differences compared to typical steel truck beds. One of the differences they noticed was a lack of rust. "They told us they noticed the boxes did not produce red surface rust when heavy use scratched through the paint," said Kansier. 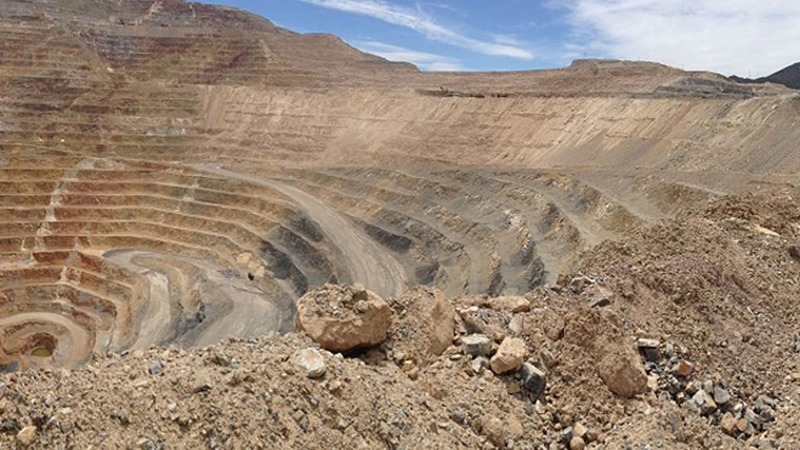 To watch the customer tough testing in action at Barrick Mining, visit https://www.youtube.com/watch?v=EBuYbGXVHdE&feature=youtu.be. Ford's extensive testing strategy for the new F-150 includes three phases that will allow engineers to understand how each truck stands up under an array of harsh conditions: "We Test," which takes place in Ford labs, "They Test," at fleet customer sites and "You Test," in which consumers will have an opportunity to put the new truck through its paces. In addition to testing by the three fleet customers, prototype F-150s have been tested in a number of real-world environments. Among them is Davis Dam – a durability route in a remote corner of northeast Arizona – where the F-150 climbed 13 miles pulling a maximum trailer load in 120 degree heat. In California's Anza-Borrego State Park, an hour east of San Diego, the truck ascended a mountain of sand and rock with a 30-degree grade, sometimes reaching an altitude of 6,000 feet, 250 times over five days – all without fail. For a graphic of all the testing courses, which span coast to coast, click here. Before the first 2015 F-150 rolls off the assembly line, the new truck will have been subjected to 10 million miles of combined real-world and simulated durability testing. For a list of some of the ways Ford has torture tested the next-generation F-150, visit https://media.ford.com/content/fordmedia/fna/us/en/news/2014/04/09/10-ways-ford-torture-tested-the-2015-F150.html.